Design Museum Gent presents Object Stories, a fresh, new perspective on the amazing array of items in Belgium’s biggest design collection. The museum is showcasing a varied selection of just under 200 objects, from 1880 to the present day. In making this selection for Object Stories, the museum did not work with an umbrella theme, nor did it strive to show highlights of the history of design. Instead, the objects themselves attract the attention, as individual narrators of stories and meaning. Visitors start by defining their exhibition experience, by selecting one of the layers of meaning. Each of the five routes focuses on ten collection items, which have a specific aspect in common. Without the commissioners in Commissions & Commissioners, some of these objects would have never been created. There is something curious about each of the objects on the Curiosity route, which makes them a conversation starter. The Making Matters route focuses on the material or technique used, whereas Responsible Objects zooms in on objects that reflect designers’ social responsibility. A fifth layer of meaning forces us to look at objects through the eyes of a child. The routes are flexible and layers will be added or exchanged in the following years. There are all kinds of design commissions, with various scopes and dimensions, including furniture for a home, such as the Art Nouveau chair that Paul Hankar designed for Les Glycines, the country house of Philippe Wolfers, or more industrial objects that are produced by a company that signs an agreement with a designer, such as Philippe Behrens’s kettle for AEG. Other designers, meanwhile, prefer to develop their work more independently. Piano bench, 1902, Henry van de Velde for Museum Folkwang in Hagen (Germany) There are several copies and variants in existence of this bench. In 1902 it was included in Henry van de Velde’s design for the music room of the museum of art patron Karl Ernst Osthaus. This bench once stood in Van de Velde’s own house, the Hohe Pappeln house in Weimar (1908). His wife, Maria Sèthe, was a talented pianist. they have an unusual function, such as the Vox vacuum cleaner, which can also be used to dry your hair or mix food! 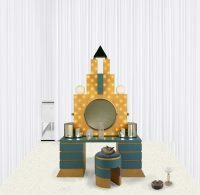 Other objects found their way into the collection in an unusual way, such as Alessi’s cheerful La Giostra carrousel, with its miniature design objects. 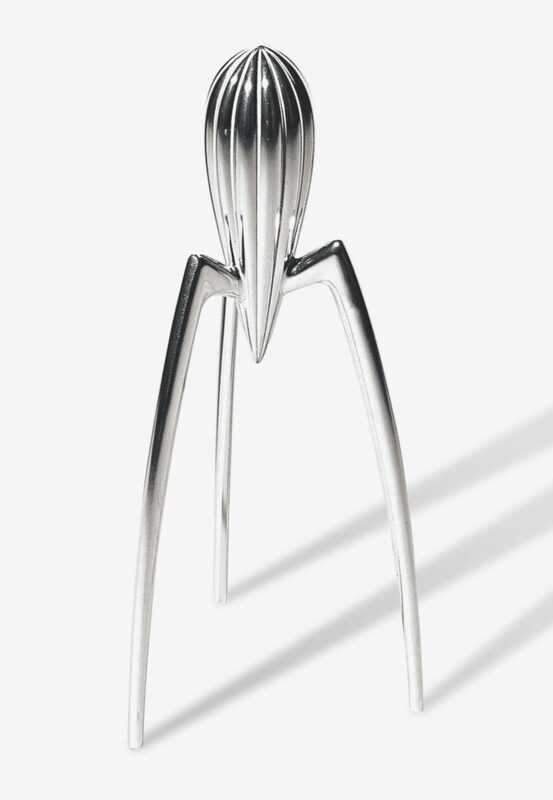 Juicy Salif, 1990, Philippe Starck for Alessi The enfant terrible of French design designed this lemon squeezer in 1990, which caused quite a controversy. Many people opined that it was not user-friendly and that it violated the well-known modern principle of ‘form follows function’. Starck had the idea for this design when he squeezed a lemon over a squid dish in an Italian restaurant. Some of the objects in Making Matters are the embodiment of key technical developments in design history, such as the introduction of laminated wood, plastics or 3D printing. Others are the result of the endless and tireless execution of a traditional technique, such as the decorative objects in Japanese Urushi lacquerware by Jean Lemmens. In some cases, the manufacturer perfected a trademark technique, such as the layered cut crystal of the Val-Saint-Lambert glassworks. This theme stresses the relevance of materials and the manufacturing process of the objects with which we surround ourselves as we often tend to overlook them. 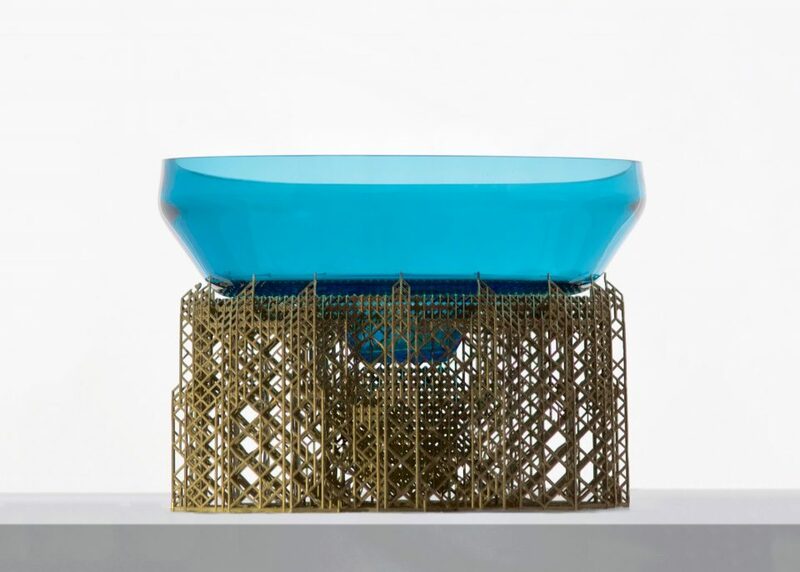 Skafaldo, 2016, Unfold together with Materialise A supporting structure is sometimes added when 3D printing complex objects, to support the object during the printing process. The structure is then discarded after the printing process. The Antwerp company, Unfold, instead chose to accentuate this disposable structure in its Skafaldo project. The structures are first printed in resin. Instead of using them to print an object, they are then cast in bronze so they can be used as a support for a bowl for example. Sustainable and socially responsible objects are timeless. In Responsible Objects, we look at design as an object that makes the world a better place, starting from the awareness of the impact of design on the quality of everyone’s life. Gustave Serrurier-Bovy’s Silex furniture meant the lower classes could also afford beautiful Art Nouveau designs in the early twentieth century. 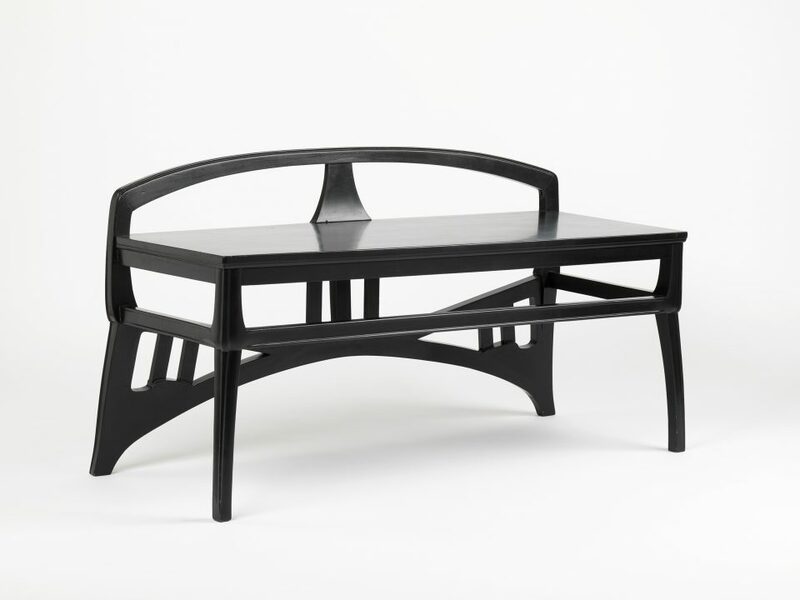 Willy Van der Meeren had similar intentions with his movement of ‘modern, social furniture’ in the 1950s. Eric Klarenbeek’s Veiled Lady, which was 3D printed using fungi, explores new possibilities with alternative materials as part of sustainable contemporary design. 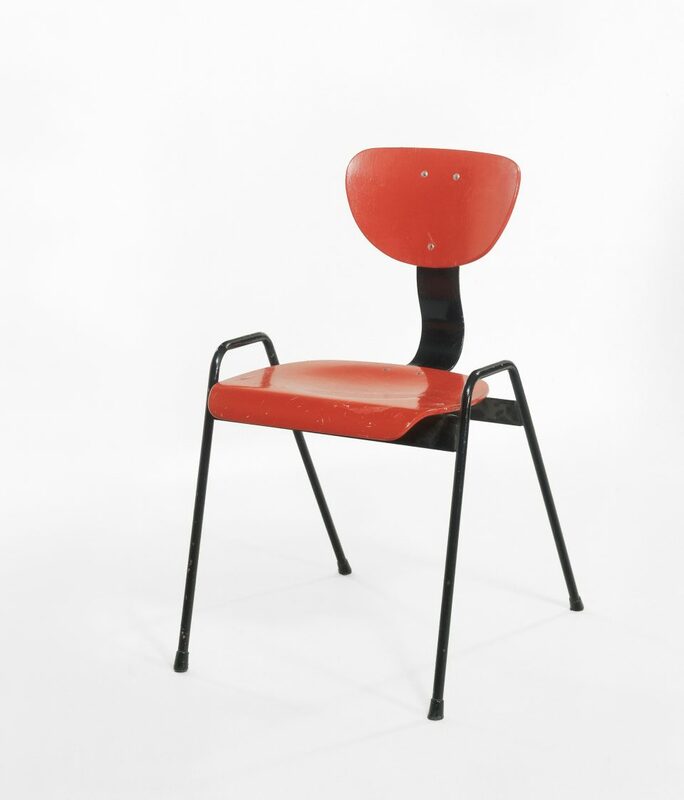 Chair C1, c. 1953, Willy Van Der Meeren Van Der Meeren designed very straightforward furniture, which ordinary families could afford. He used standardised basic elements, which could be produced in series and which could be used in various combinations. The result was a series of affordable and user-friendly furniture for post-war consumers. The exhibition was designed by the Ghent-based design firms of Doorzon interior architects and FELT architecture and design. The objects can be easily exchanged in the future and new layers of meaning added because of the flexible scenographic elements. The exhibition has two zones. We invite guest curators to create exhibitions with objects from the collection in the inner zone of the exhibition. Doorzon and FELT created associative ensembles for the first iteration: collection objects from various periods and disciplines engage in new relationships with each other. The collection objects are grouped according to artistic choices, around the exhibition’s core. The French designer and film-maker Alexandre Humbert, produced The Unchosen, a film about the 21,813 other objects in the collection, for the new collection presentation. The film provides a platform for ‘the unchosen’, for objects that were not selected for the first iteration of Object Stories, but which he feels also deserve attention. Humbert takes visitors on a journey behind the scenes of the collection, which will move to a new depot later this year.